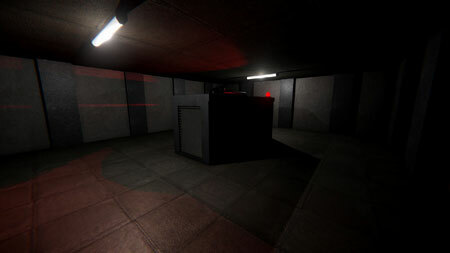 Miss Eyesore is a 3D survival horror game set in an underground bunker. The tunnel out collapsed, and the door system went haywire. Now stuck in the bunker, you must keep the generators running long enough to get rescued. If you don’t keep them all in working order, things will go wrong. Explore the bunker and learn it’s layout for maximum efficiency. In the bunker with you resides Miss Eyesore, who will hunt you down if you get to close or venture into the darkness. Keep all doors to dark rooms locked, or else she will find you. As you play and sectors get locked to keep the monster at bay, your area gets ever smaller and your power meter lower. If you get stuck in the game, check out the video walkthrough and gameplay for the game. This entry was posted in PC Games, Walkthrough and tagged Miss Eyesore Cheats, Miss Eyesore Cutscenes, Miss Eyesore Endings, Miss Eyesore Gameplay, Miss Eyesore Guide, Miss Eyesore Hints, Miss Eyesore Horror Game, Miss Eyesore Jumpscares, Miss Eyesore Review, Miss Eyesore Solutions, Miss Eyesore Strategy, Miss Eyesore Tips, Miss Eyesore Walkthrough by Marvin. Bookmark the permalink.